The study assessed the potential utility of the Company's medical food product, Lumega-Z, which is designed to restore the macular protective pigment layer. The abstract concludes that in patients who had ordered 12 consecutive month's supply of Lumega-Z, Lumega-Z treatment was associated with significant improvement in visual field function among patients with severe glaucoma who had previously shown degeneration despite having had excellent intraocular pressure control. The study was conducted at (i) the School of Medicine, Universidad Autonoma de Guadalajara in Guadalajara, Mexico, (ii) the Visual Sciences/Biomedical Engineering, UIW/UTSA in San Antonio, Texas, and (iii) the Ophthalmology Department of the New York Medical College. 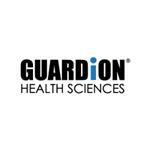 About Guardion Health Sciences, Inc.
Guardion is an ocular health sciences company that develops, formulates and distributes condition-specific medical foods supported by evidence-based protocols, with an initial medical food product that addresses a depleted macular protective pigment, a known risk factor for age-related macular degeneration ("AMD"), and a significant component of functional vision performance. Guardion Health Sciences, Inc. has also developed a proprietary medical device, the MapcatSF®, which accurately measures the macular pigment density, therefore providing the only two-pronged evidence-based protocol for the treatment of a depleted macular protective pigment. VectorVision® specializes in the standardization of contrast sensitivity, glare sensitivity, low contrast acuity, and ETDRS acuity vision testing. Its patented standardization system provides the practitioner or researcher the ability to delineate very small changes in visual capability, either as compared to the population or from visit to visit. VectorVision®'s CSV-1000 device is considered the standard of care for clinical trials. VectorVision® is a wholly-owned subsidiary of Guardion. With the exception of the historical information contained in this news release, the matters described herein may contain forward-looking statements within the meaning of Section 27A of the Securities Act of 1933, as amended, and Section 21E of the Securities Exchange Act of 1934, as amended. These statements involve unknown risks and uncertainties that may individually or materially impact the matters discussed herein for a variety of reasons that are outside the control of the Company, including, but not limited to, the Company's ability to raise sufficient financing to implement its business plan and its ability to successfully develop and commercialize its proprietary products and technologies. Readers are cautioned not to place undue reliance on these forward-looking statements, as actual results could differ materially from those described in the forward-looking statements contained herein. Readers are urged to read the risk factors set forth in the Company's filings with the SEC, which are available at the SEC's website (www.sec.gov). The Company disclaims any intention or obligation to update or revise any forward-looking statements, whether as a result of new information, future events or otherwise.